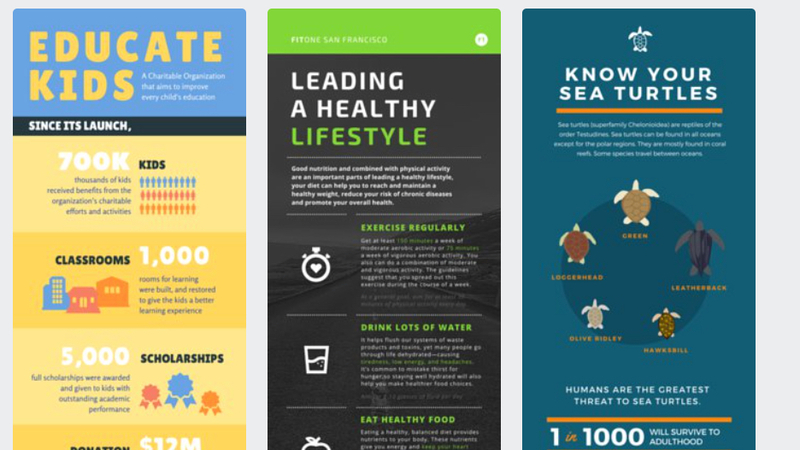 Make infographics and charts to tell your data-driven story. Make design graphics by dragging and dropping photo’s into a lay out. Design professional presentations, social media graphics and more.